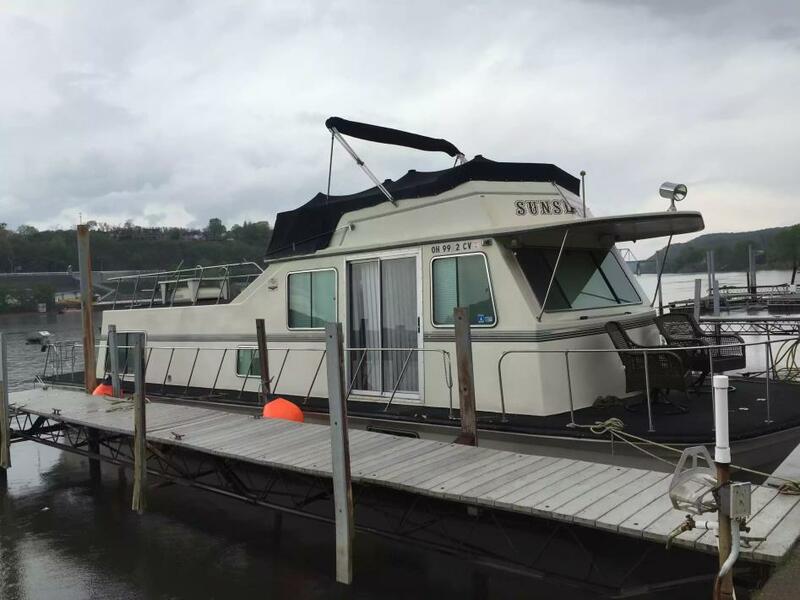 The Tucker Houseboat is in overall good condition and needs an owner that enjoys the ins and outs of owning a classic. 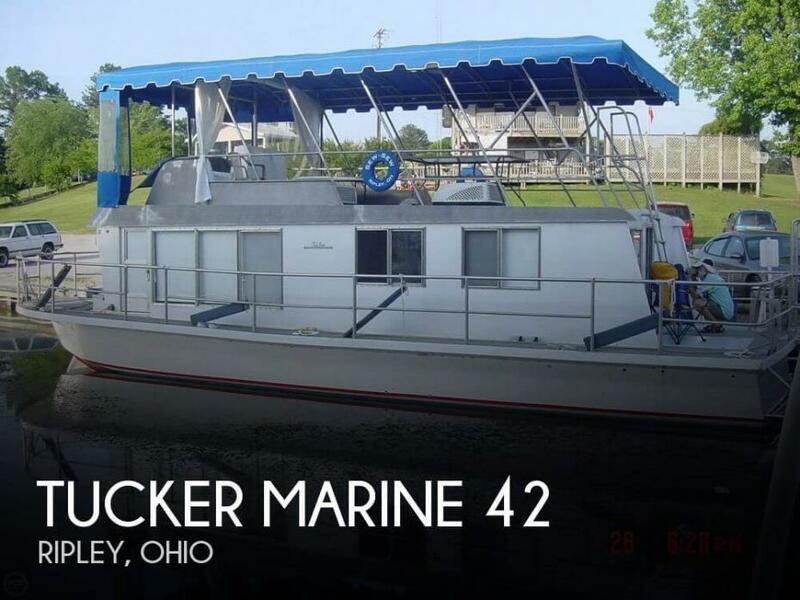 The owner that enjoys tinkering will enjoy owning this 1968 Tucker Marine 42 Houseboat! 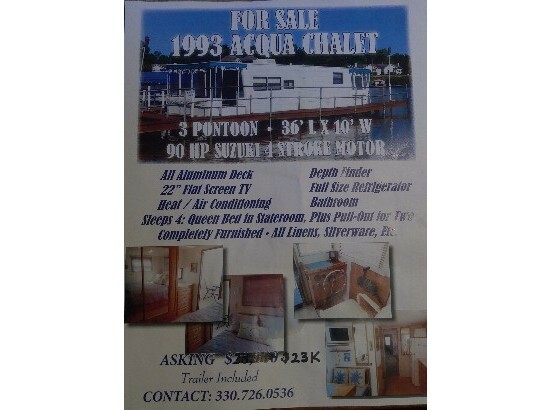 Stock #087609 Houseboat Classic Tucker 42 with Newer Twin John Deere Engines Reason for selling is other interests. 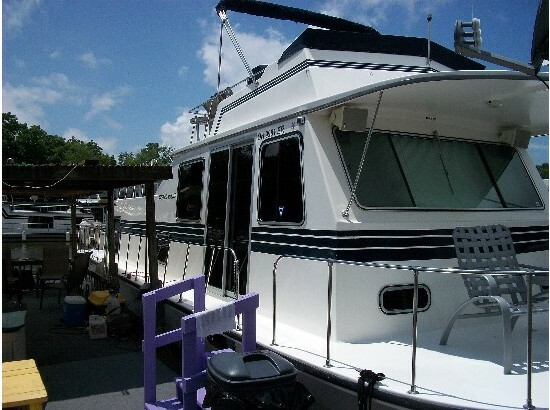 1985 Harbor Master Harbor-Master 470 1985 Harbor Master 47' Houseboat. Well maintained, very good condition. Twin 270HP Crusaders with V-Drives and generator. Two A/C and heater units. 14' beam. Queen master bedroom with full bath with shower/tub combination. 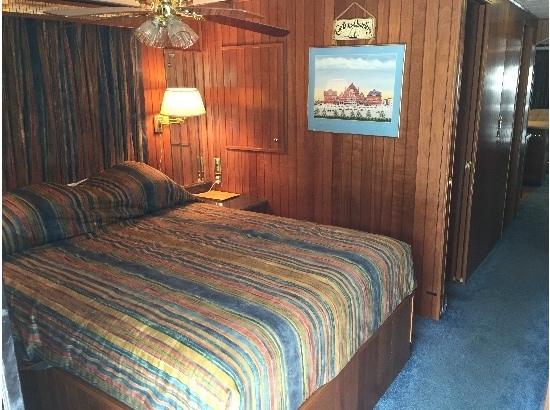 Two full size beds below with 1/2 bath. Dinette area, stove with oven, full size refrigerator/freezer, leather sofa. Flybridge with bimini top. Yard trailer also available. $42,000 or best offer. Call (330)206-7384 with any additional questions. 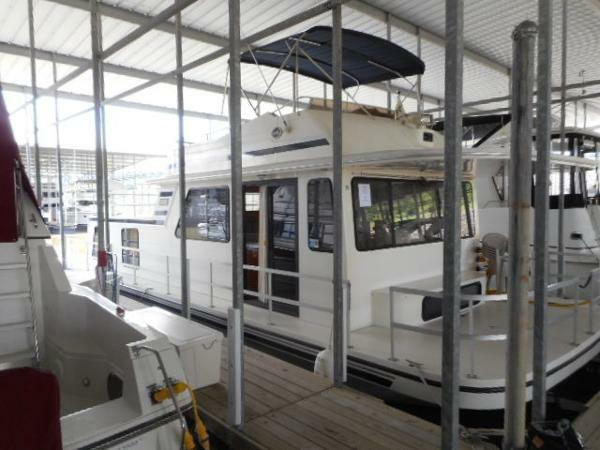 1979 Harbor-Master 47 Fresh water 47 Harbormaster with flybridge that has had many interior updates including carpet, tile floors, granite countertops, and more. Powered by a pair of Merc 7.4L 330 HP inboards. 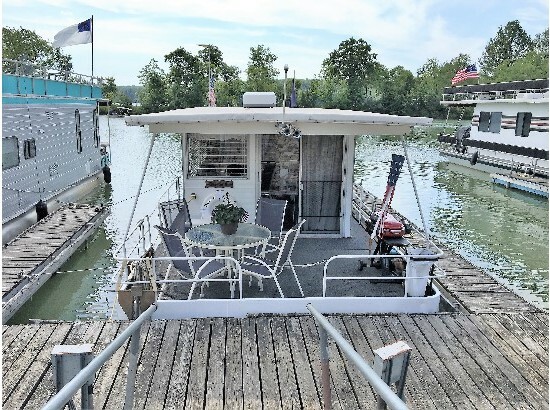 Partial listing of equipment includes Kohler generator, dual roof air/heat units, bridge cover, bimini top, newer stainless fridge, 3 burner stove w/oven, microwave, flat screen TV's, newer upgraded Jabsco electric flush toilet, and newer furnishings. 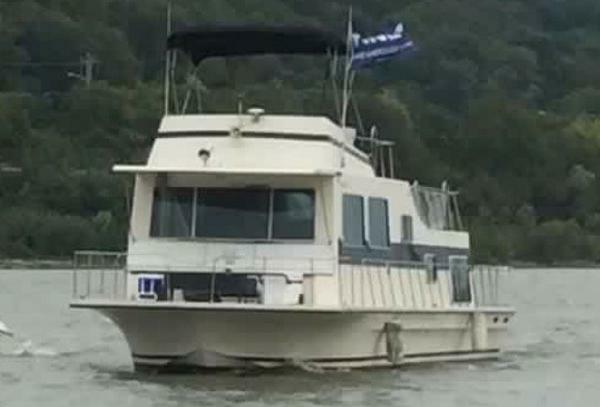 If you are looking for an affordable houseboat that shows like a much newer boat this one is a must see. Boat is located offsite so please call ahead for showings. 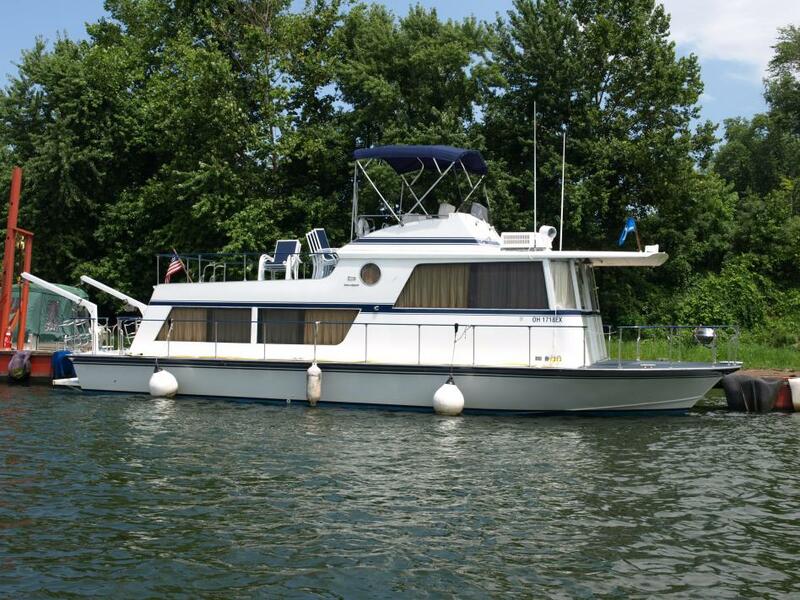 1993 Gibson 41 Cabin Yacht Priced to sell! Houseboat in excellent condition now available. 41' is not too big and is easy to handle and dock. 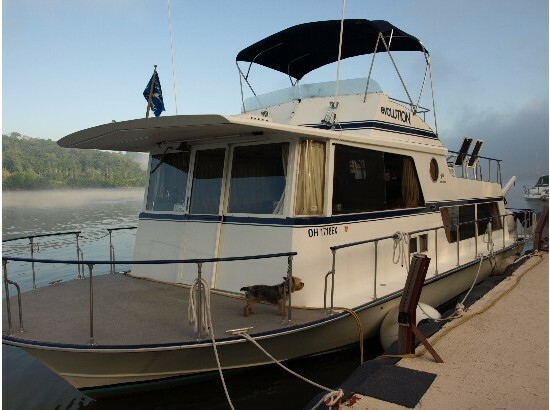 Home Port - Four Seasons Marina (sheltered 500+ boat marina) on the Ohio River so relocation by water is easy. Currently winterized and on the hard. 41' x 14'. Rare Gibson "Cabin Yacht" model - more stylish than other Gibson models. Twin Crusader 350 gas engines (570 hrs per engine w/v drives) generator. Radar, depth finder & 2 marine radios. 2 full heads, 4 seat dinette, kitchen with oven, 3 burner stove, microwave and 2 door frig with ice maker, 2 roof top ac/heat units. Dual stations, bridge with seating. refurbished interior. Twin staterooms-aft stateroom has queen futon. Lots of storage. Always professionally maintained. A very nice boat. Reason for selling-we are moving south. 1999 Gibson 44 Standard 1999 Gibson 44 Standard. One Owner Excellent condition. This boat has been in a covered slip the entire time and it shows! The boat is powered by twin Crusader 7.4 MPI’s v-drives with only 680 hours. There is a Westerbeke Generator with only 190 Hours. Marine Air will keep the boat comfortable on those long trips. This boat has been maintained and super clean. The boat is currently moored near Lawrenceburg, Indiana. This boat has sleeping for 8+ persons. There is plenty of room to accommodate guest inside and out. There is a large dinette in the salon along with a nice size couch. The lower station is comfortable with easy access to all controls, a sliding glass door and AM/FM CD player. The Galley is fully equipped with full size refrigerator/ freezer, double bowl sink, stove/oven, microwave and plenty of storage. The boat has newer interior carpet. The Aft cabin gives you a master suite with bed and closet and drawers. The boat is equipped with two separate head and showers. The forward cabin offers two berths and built in dresser drawers. Easy access to walk around the boat with high rails. Spacious forward and aft decks. There is a large gathering sundeck as you make your way to the flybridge. The flybridge has full controls and a bimini top. 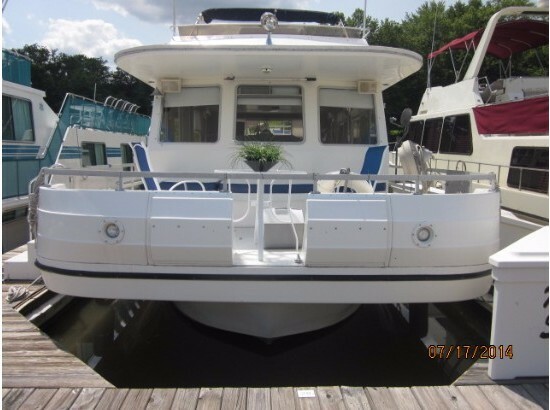 The movable furniture with covers lets you enjoy the bridge the way you want.This boat is in excellent condition. It has always been under cover and it shows. Do yourself a favor and look at this boat you will not be disappointed. 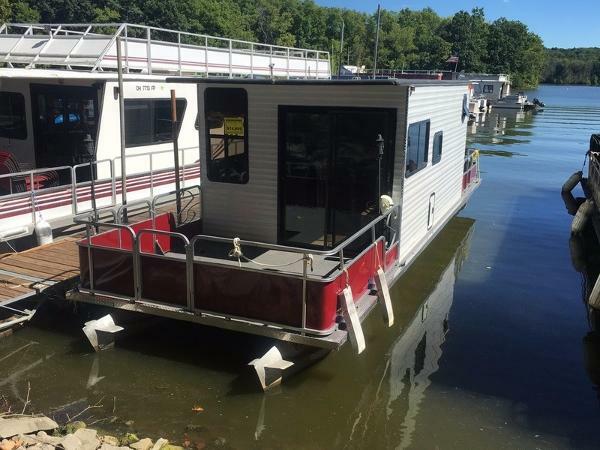 If you are in the market for a houseboat this is the one. 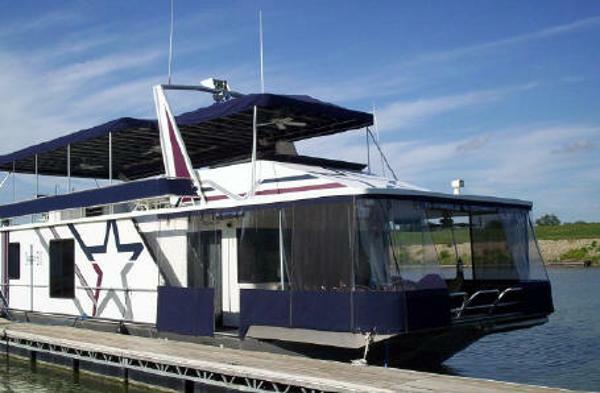 Grab your family and enjoy this houseboat! Please contact Sea Ray of Cincinnati schedule an appointment. The boat is located in a marina near Lawrenceburg, Indiana. 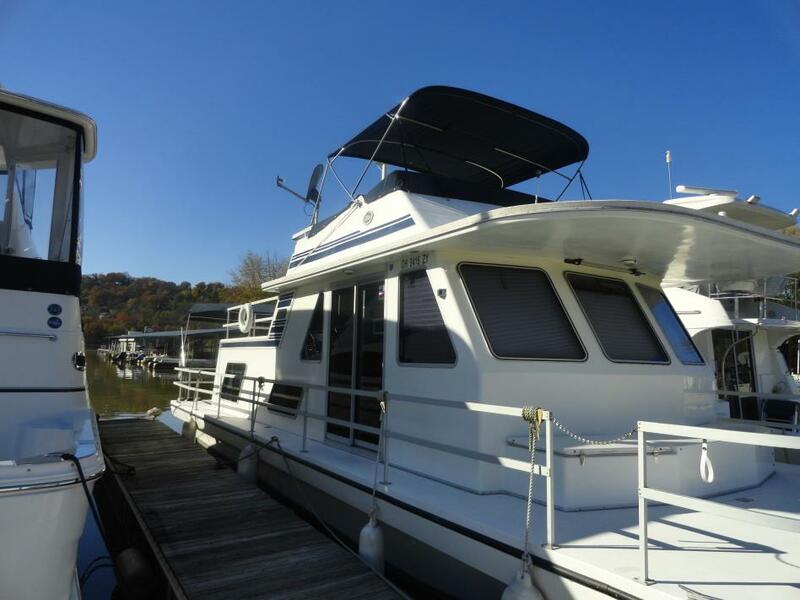 1996 Sunstar 18' x 94' Widebody Notes:New $9,000 HVAC system put in in July 2013.All new carpet, $5000, in July 2013.New S/S Range & Microwave 2014.Twin 5.7 Liter Mercruiser with Bravo 2 outdrives approximately 400 hours, Lower unit maintenance totally gone through in 2008, Lower unit oil changed in 2010 when boat was moved to Cincinnati area, 2003 Kohler 20KW Generator, DLX Flybridge with Sportfisher top and Radar Arch, Stern Thrusters, Dual MMC controls, Radar Arch, Remote Spotlight, Depth Finder, Rudder Indicator, VHF Marine Radio, Hailer, 40’Canvas Party Top with Rope lights, Rooftop bar with sink and Refrigerator, 2500 watt Inverter with 3 Glass Mat Batteries new in 2010, Total Insulation Package, Roof Gel-Coat 2009, Roof Davit, CO and Smoke Detector, Ceramic Tile in Galley and Baths, 3 Staterooms-King Master with storage under, plus 2 Queen Staterooms, 2 full Baths, Raritan Atlantes Toilets, 2-85 Gallon Holding tanks, Side By Side Refrigerator, Updated Gas Slide in Stainless Steel Range, Updated Stainless Steel Kenmore Microwave, Dishwasher, Trash Compactor, Ice Maker, Garbage Disposal, Central Vacuum, 4 TVs, AM/FM Stereo, DVD, Ipod ready, Anodized Rails on Front, Rear and Grab rails on Cabin, Central Heat and Air 4 Ton, Aft Deck Lockers, 2-20 gallon Hot water heaters, 2-150 gallon Fuel Tanks, 5-100 gallon Freshwater tanks, Twin 50 amp shore power, This boat was way ahead of its time in 1996 and has been maintained properly.